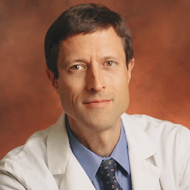 Neal D. Barnard, M.D. is an American physician, author, clinical researcher and the founding president of the Physicians Committee for Responsible Medicine (PCRM). He promotes preventative medicine and encourages higher standards for ethics and effectiveness in research. He has written numerous books, including Food for Life, The Get Healthy, Go Vegan Cookbook and Breaking the Food Seduction. "In 1985, I was in my first year of practice at Saint Vincent's Hospital in Manhattan. It seemed to me that the medical practice did a pretty good job of diagnosing illnesses, sometimes a good job of treating illness, but an abysmal job of preventing them. We did nothing about heart attacks until they came into the emergency room. We didn’t do anything about cancer until you saw it on a mammogram. I thought that was wrong. We needed to bring nutrition into medicine. I was also concerned about ethical issues in human research - there have been many disturbing revelations about how humans are treated in studies - and with animal research where regulations are terribly minimal." "To give a child animal products is a form of child abuse." "It's much easier to have a healthy well-balanced vegan diet than it is to have a healthy non-vegan diet. A vegan diet is loaded with vegetables, fruits, beans and whole grains - all very rich in vitamins and minerals, much richer than you would find in a typical meaty diet. These foods bring us fiber while meat, dairy, and eggs contain no fiber at all. It's almost impossible to have a truly healthy diet that includes muscle tissue, eggs, and milk." "I don't think omega-3s are an issue at all. The body needs relatively little omega-3 fatty acids. There’s not much fat in beans or vegetables but what there is, is quite high in omega-3." 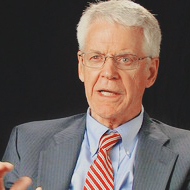 Caldwell Esselstyn, M.D. conducted a remarkable 20-year research study by putting patients with advanced heart disease on a low-fat vegan diet. That's all that was necessary to reverse their disease. Former President Clinton credits Dr. Esselstyn (and others) with his decision to go plant-based, which contributed to his losing extra weight and reversing his own heart disease. "Some people think the 'vegan diet' is extreme. Half a million people a year will have their chests opened up and a vein taken from their leg and sewn onto their coronary artery. Some people would call that extreme." "Here are the facts. Coronary artery disease is the leading killer of men and women in Western civilization. In the United States alone, more than half a million people die of it every single year. Three times that number suffer known heart attacks. And approximately three million more have 'silent' heart attacks, experiencing minimal symptoms and having no idea, until well after the damage is done, that they are in mortal danger. In the course of a lifetime, one out of every two American men and one out of every three American women will have some form of the disease." 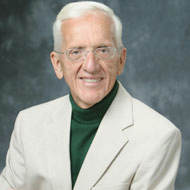 Dr. T. Colin Campbell, B.S., M.S., Ph.D is an American biochemist who specializes in the effects of nutrition on long-term health. He is the Jacob Gould Schurman Professor Emeritus of Nutritional Biochemistry at Cornell University, the author of over 300 research papers, and the co-author of The China Study (2004), one of America's best-selling books about nutrition. He also starred in the 2011 American documentary, "Forks Over Knives." "In the next ten years, one of the things you're bound to hear is that animal protein is one of the most toxic nutrients of all that can be considered." "Quite simply, the more you substitute plant foods for animal foods, the healthier you are likely to be. I now consider veganism to be the ideal diet. A vegan diet – particularly one that is low in fat – will substantially reduce disease risks. Plus, we've seen no disadvantages from veganism." 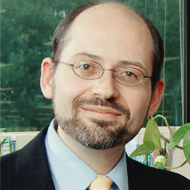 Michael Greger, M.D. is an American physician, author and internationally recognized professional speaker on a number of important public health issues. He graduated from the Cornell University School of Agriculture and the Tufts University School of Medicine. He is a licensed general practitioner specializing in clinical nutrition. 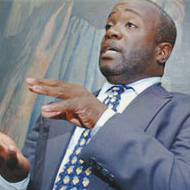 He was invited as an expert witness in defense of Oprah Winfrey at her trial. "The most ethical diet just so happens to be the most environmentally sound diet and just so happens to be the healthiest." "It's true, plants don't make B12. Animals don’t make it either. B12 is made by microbes that blanket the earth. These bacteria grow in the guts of animals, which is why their bodies and products can be a source of this vitamin. Our herbivore primate cousins get all they need ingesting bugs, dirt, and feces, and we may once have gotten all we needed by drinking out of mountain streams or well water. But now we chlorinate our water supply to kill off any bugs. So we don't get a lot of B12 in our water anymore, but we don't get a lot of cholera either - that's a good thing!" "Those who consume animals not only harm those animals and endanger themselves, but they also threaten the well-being of other humans who currently or will later inhabit the planet... It is time for humans to remove their heads from the sand and recognize the risk to themselves that can arise from their maltreatment of other species." 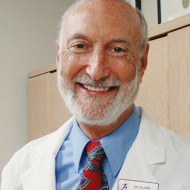 Michael Klaper, M.D. is an American physician and author. He graduated from the University of Illinois College of Medicine in 1972. He has written the books Pregnancy, Children, and the Vegan Diet and Vegan Nutrition: Pure and Simple. He is the Director of the Institute of Nutrition Education and Research and a member of the Nutrition Task Force of the American Medical Student Association. He has also served as an advisor to the N.A.S.A. project on nutrition for long-term space colonists on the moon and on Mars. "Certainly milk drinking does not seem to confer any protection against osteoporosis. The countries with the highest dairy consumption – the U.S., the U.K., the Scandinavian countries, etc. have the highest rates of osteoporosis." "A vegan pregnancy is a beautiful thing, and statistics show it is much lower in medical risk." "If the child is drinking mother's breast milk, there is no better food. I think that, if possible, women should breast feed for the first two years of the child's life. During the first 6 months of life, they should be exclusively breast fed, and after six months, simple foods like mashed fruits and pureed vegetables should be introduced, all the while, the background flow of breast milk is assuring nutritional adequacy." 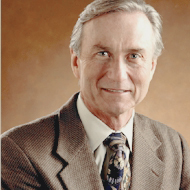 John A. McDougall, M.D. is an American physician, nutrition expert and author. He is a graduate of Michigan State University's College of Human Medicine and certified as an internist by the Board of Internal Medicine and the National Board of Medical Examiners. He states that people should look and feel great and enjoy optimal health for a lifetime. He is the co-founder and Chairman of Dr. McDougall's Right Food's Inc.
"People feel poorly because they are nourished by foods you wouldn't feed to you dog and cat. The rich western diet is full of fat, sugar, cholesterol, salt, animal protein - all the wrong foods for people. Look around the world and see where people are thin and healthy." "Animal proteins are the main cause of osteoporosis. Animal proteins are acidic and cause the bones to dissolve and change the kidney physiology so the bone material is urinated into the toilet." "We see that human beings have the gastrointestinal tract structure of a 'committed' herbivore. Humankind does not show the mixed structural features one expects and finds in anatomical omnivores such as bears and raccoons. Thus, from comparing the gastrointestinal tract of humans to that of carnivores, herbivores and omnivores we must conclude that humankind's GI tract is designed for a purely plant-food diet."